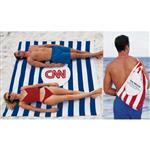 Need a beach towel giveaway on a budget? 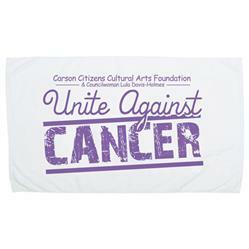 At 42" x 24", this small custom beach towel is perfect for your next company picnic, conference, or school fundraiser. Under ten dollar beach towel with one color logo, available in a rush in 24 hour production. This is a LIGHTWEIGHT 6.5lb. 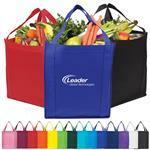 towel- folds up nice and small into your giveaway tote bag as well! Production Times Available: 5 working days. FREE 24 HOUR RUSH.